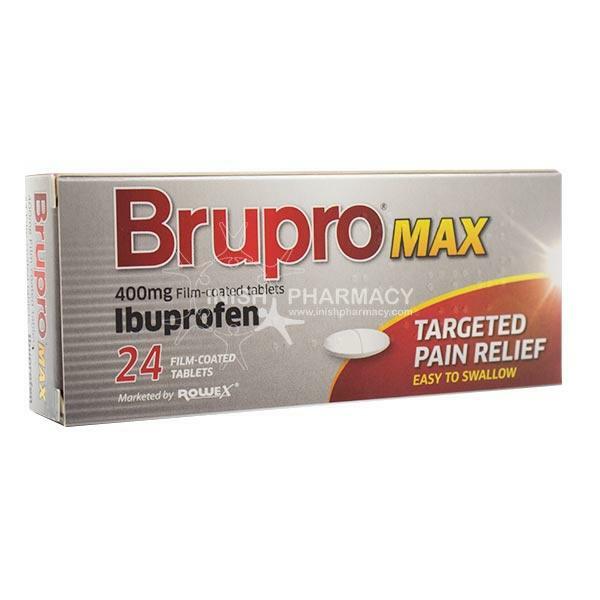 Brupro Ibuprofen 400mg Tablets are used to lower fever and manage general pain such as back pain, headache, dental pain and period pain and to treat colds and flu. Each tablet contains 400mg of Ibuprofen. Adults and children over 12 years take 1 tablet initially, then if necessary 1 tablets every 4 hours. Do not exceed 3 tablets in 24-hours. Each film coated tablet contains 400mg of ibuprofen.